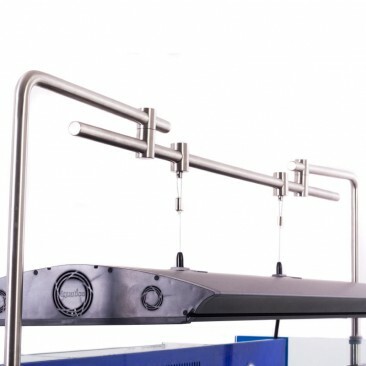 A sleek, stylish and durable hanging solution for your Aquaillumination (AI) Hydra LED light system; designed to give you control of how and where you hang your lighting without compromising on the aesthetics of your show piece aquarium. 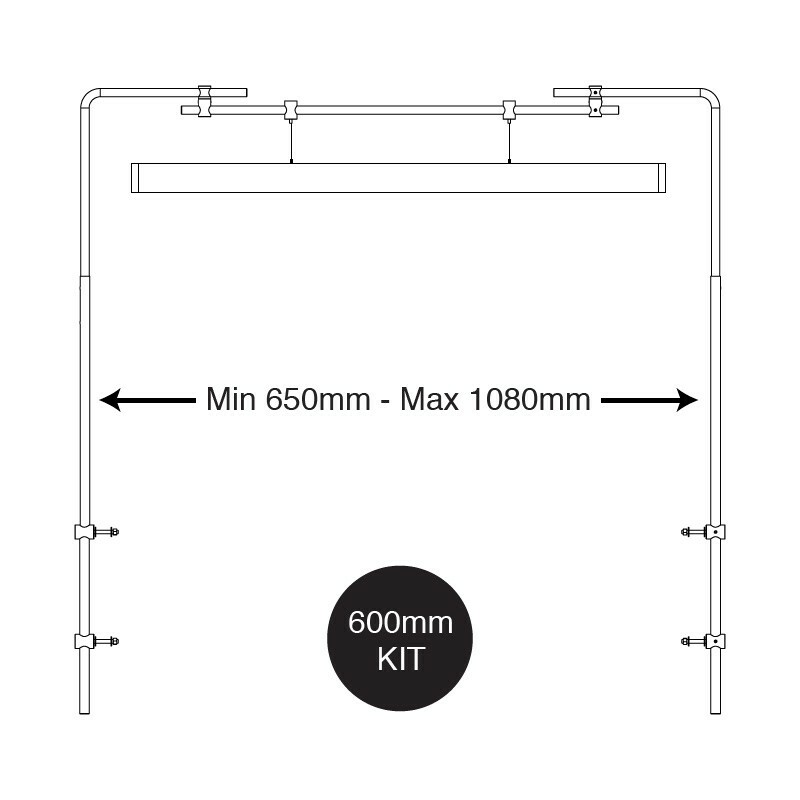 Whether is be the smaller Hydra Twentysix, or the larger Hydra Fiftytwo, this is the perfect solution for you. Do you have the AquaIllumination (AI) range of LED lighting – Hydra FiftyTwo or Hydra TwentySix? 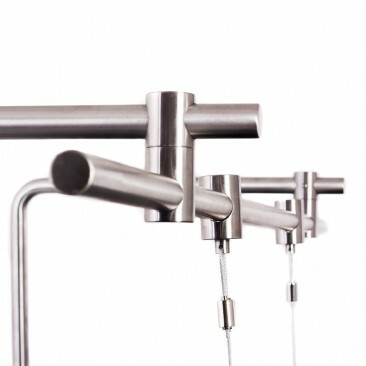 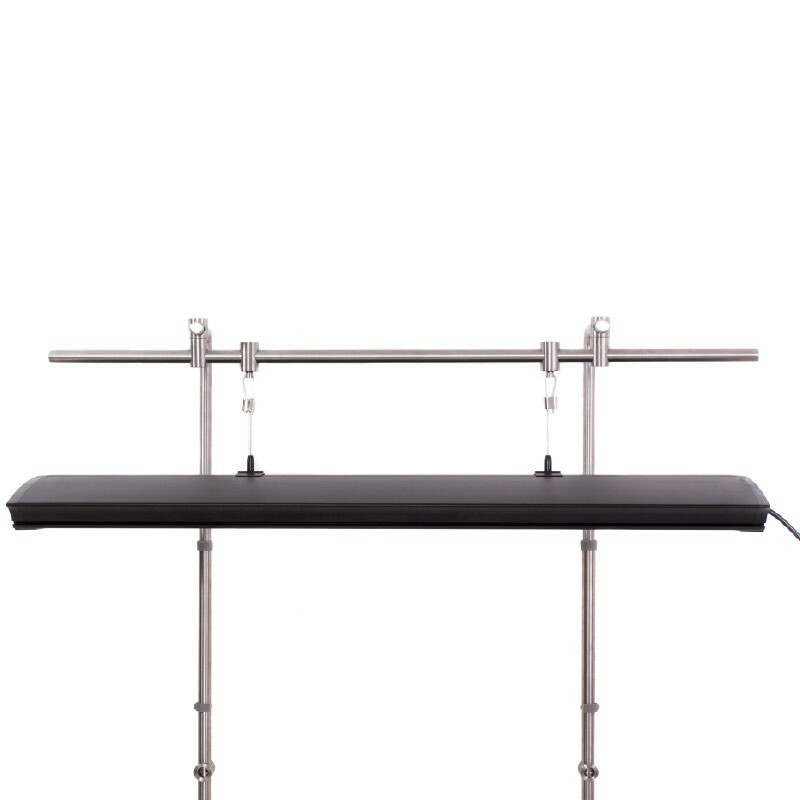 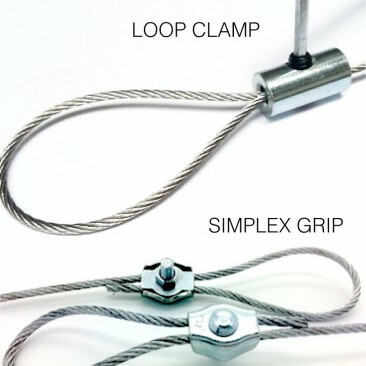 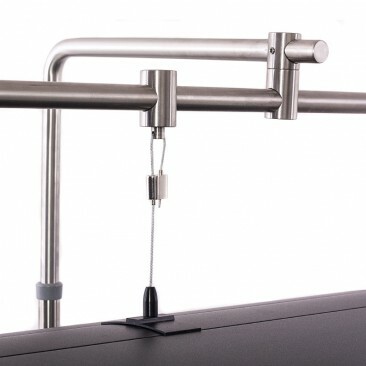 Are you looking for a stylish way to suspend your system? 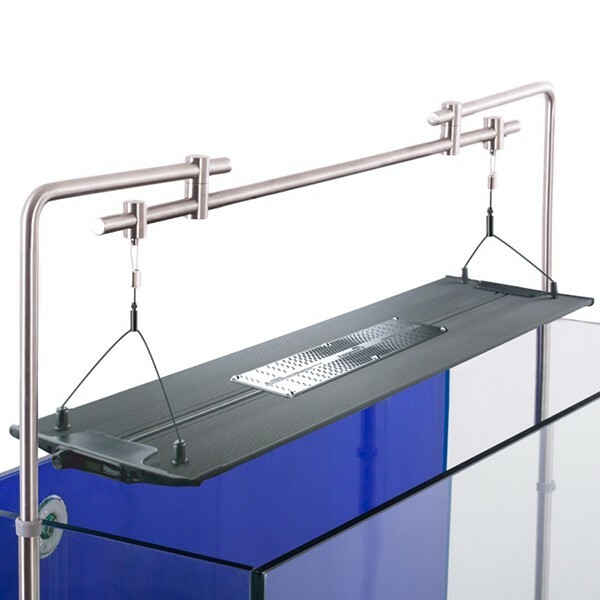 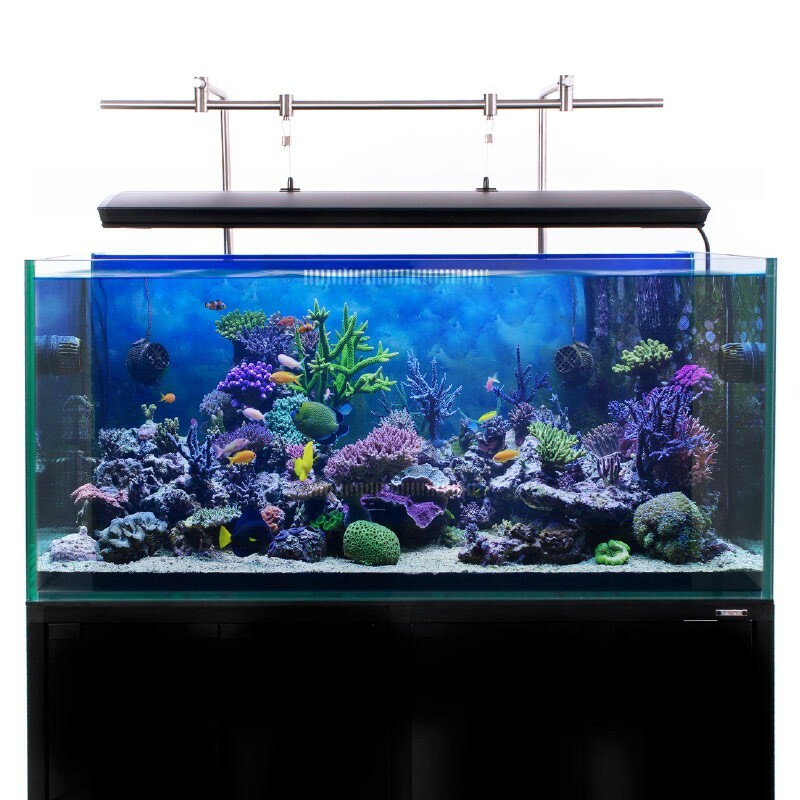 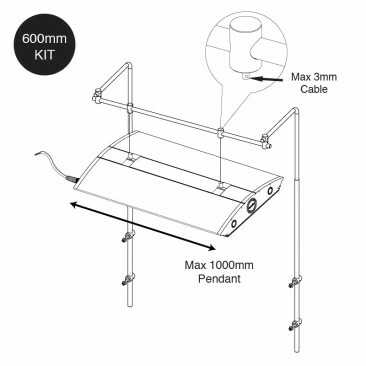 The iQuatics aquarium LED hanging bar offers a versatile hanging solution for your Aquaillumination Led's, maintaining the clean lines and sharp design of your aquarium. Made from durable stainless steel and with several mounting options, a system that works in a way that you want it too. 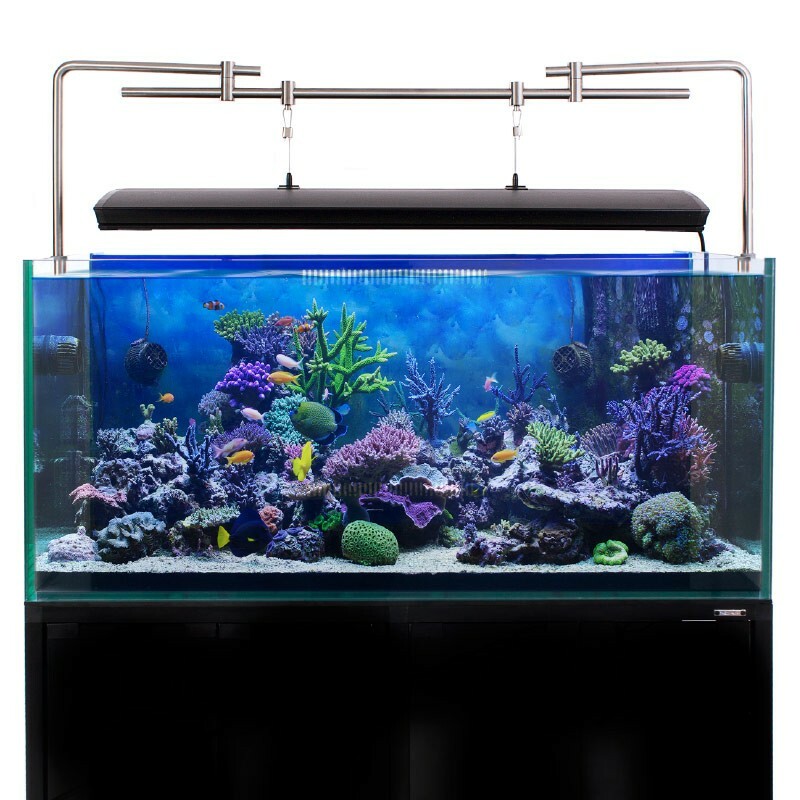 • Option 1: Tank mounted; screw the supports into the back of your aquarium cabinet. 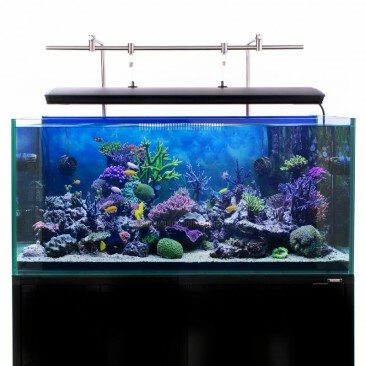 • Option 2: Tank mounted; screw the supports into the sides of your aquarium stand. • Option 3: Wall mounted; simply switch the direction of the attachment bolts and screw into the wall behind your aquarium. 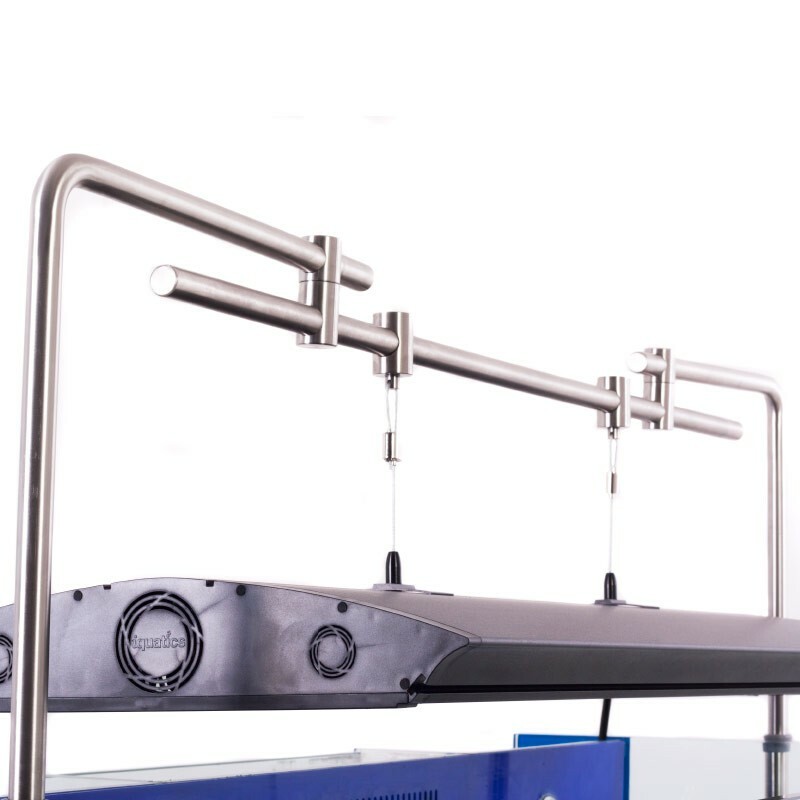 *Business address must have separate entrance and be open to the public, business’s registered at domestic addresses must use residential delivery option.